The baby gear market is booming as parents increasingly demand user-friendly, multi-functional, high-quality products that offer style, safety and sustainability. According to a 2017 report by Grand View Research, the global baby product market will reach nearly $121 billion by 2025, and analysts suggest increased awareness by parents about baby nutrition, hygiene and safety are key factors helping drive that growth. In response, baby gear suppliers are leading the way with designs that are user-friendly for parents as well as offer the utmost in safety features. Multi-functional design aspects and eco-conscious manufacturing methods are additional important product attributes as millennial parents want what’s best and safest for their children and the planet. This rapidly growing shopping demographic is also investing in upscale, eco-friendly baby gear, in part, because families are having fewer children. The willingness of consumers to seek out quality and unique style is opening the market to niche brands and newcomers. Crystal Chase, owner of Lovebug Baby in Las Vegas, thinks social media is helping the smaller players gain a footing, as well. “A lot of my customers find brands on Instagram,” she says, noting that her customers have been expanding their interest to more than just mainstream labels, especially when it comes to accessories like swaddles and diaper bags. “I hope this means people are getting back to shopping small,” she adds. Similarly, today’s parent Googles—everything. Every purchase often begins with a ton of research about features and benefits, health and safety concerns, and product reviews. This ability to “presearch” online is helping makers of organic and eco-friendly goods, in particular. It’s a story that can best be explained online as opposed to a small hangtag. Parents want what’s best for their children, and part of that involves buying into an authentic brand story. Rob Magarino, general manager for Babies “R” Us, says there’s been a lot of growth in all-natural body care products and organic baby foods. (More than 85 percent of the chain’s food segment is now organic.) “Organic is incredibly important to younger millennial customers, but we are also seeing it across the board,” he says, noting that the recent addition of The Honest Company and Baby Dove brands have received a terrific response. Here is a roundup of the latest baby gear trends that can kick sales into overdrive. When choosing diaper bags to stock, the backpack design is a must. Lucily, the sustainable U.S.-based Lassig brand has you covered with its latest launch. At $131.95 (SRP), the Lassig Goldie Backpack contains a range of accessories that appeal to active mothers who want to look stylish and be well-prepared on the go. The bag sports a convenient clasp and a well-organized interior with large compartments and accessories, including a water-repellent changing mat, an insulated removable bottle holder, a removable compartment for baby food jars, a cell phone compartment and a key ring. The Goldie diaper bag can also transform into a shoulder bag, in addition to hooks that can attach the bag to a stroller or bike. Mima Zigi baby stroller is stylish, lightweight, compact and modern looking. The compact stroller can be used from birth by attaching an infant car seat and transforming it into a sleek, compact travel system. The seat reclines to three positions and includes an automatic canopy that opens and closes with ease. A viewing window at the top also lets Mom keep an eye on Baby during jaunts around town. 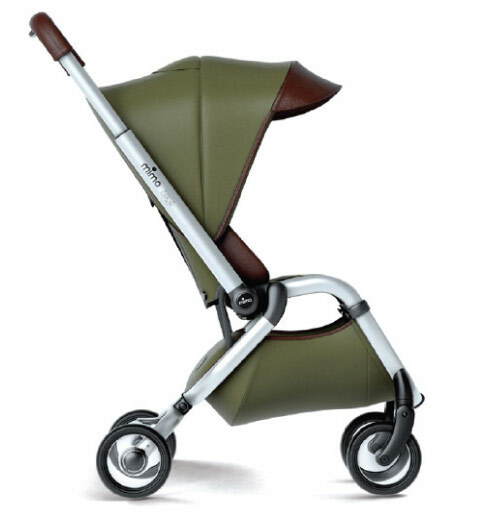 Launched last month, the stroller is available in midnight blue and olive green and suggested retail is $699.99. Complete with hand-sewn leather accents and elegant stitching details, Nuna’s Pipa Lite car seat is one of the most talked about gear innovations since debuting in August. 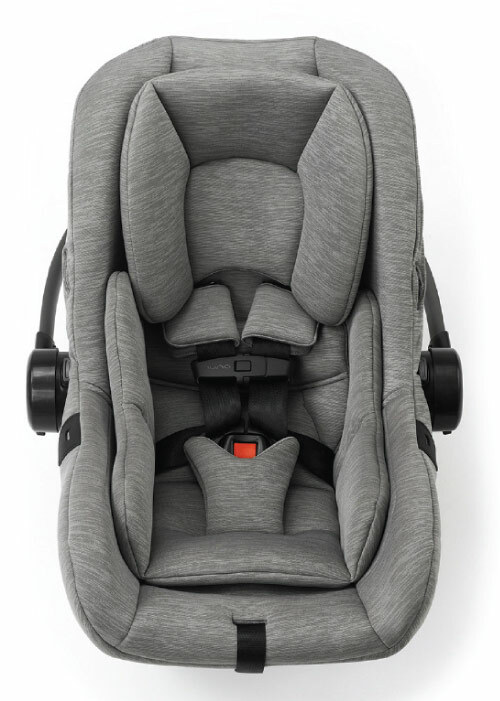 An extension of the Dutch brand’s “Suited Collection,” the more portable Pipa model is the lightest infant car seat currently on the U.S. market, weighing only 5.3 pounds. “With the goal of making parenthood simpler—without sacrificing safety and comfort—we created a car seat that is both easy to tote around and better for baby,” says Joy Nissan, president of Nuna Baby Essentials. Retailing for $349.95, the car seat is a fit for babies’ 4 to 32 pounds and up to 32 inches tall. The Nuna Pipa Lite is currently available exclusively online and at affiliated Brixy retailers in the U.S. and will expand distribution next month. “We can’t wait to get our hands on it,” says Jorge Polanco, sales manager at Bel-Bambini in West Hollywood, CA, saying how the original Pipa car seat has had such amazing sell-through already. “Nuna is definitely a brand to watch,” he adds. 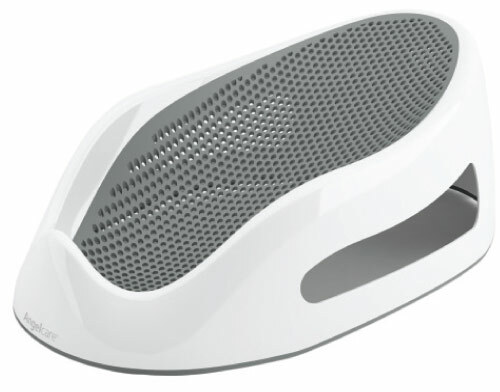 4moms, a consumer technology company that makes high-tech baby gear, launched its fourth generation MamaRoo infant seat this year. 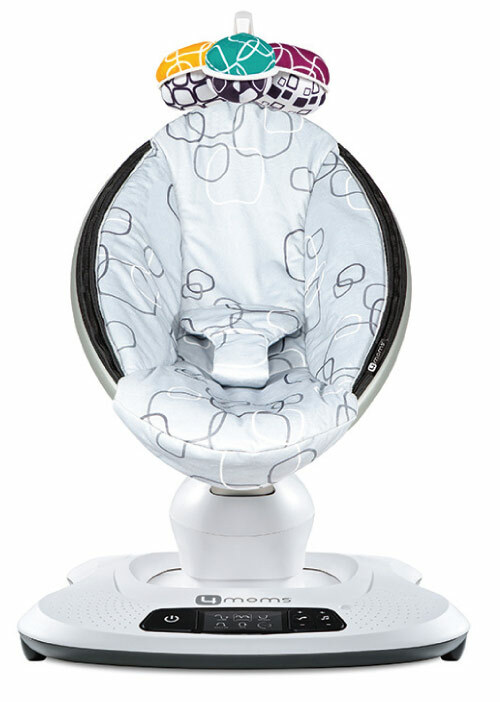 The latest version of the popular infant seat, includes an updated user interface, four new modern fabric designs and interactive reversible toy balls complete with a crinkle ball, rattle and reflective mirror. Parents can select from five different motions, speeds and sounds and can control the infant seat using their Bluetooth-compatible smart device. Also, through the end of the year, 4moms will donate 4 percent of sales from MamaRoo4 purchases (up to $100,000) to Project Sweet Peas, a non-profit organization that supports families with children in neonatal intensive care units (NICU). “We’ve always been a big supporter of NICU families and staff,“ says Gary Waters, 4moms president, adding that the MamaRoo has already been used in more than 350 hospitals nationwide. Waters says that doctors and nurses have found it transformational in caring for preemies and babies with severe conditions. Retailing at $219.99 for the classic version and $249.99 for the plush version, the MamaRoo4 is carried by mass retailers and specialty stores. Eco-friendly, non-toxic mattresses are all the rage—like Moonlight Slumber. Designed to grow with the child, the mattress features a firm side for infants and a softer side for toddlers. Made in the U.S., the mattress is free of PVC, vinyl, phthalates and chlorine, and is both CertiPUR-US and Greenguard Gold-certified for low volatile organic compounds (VOC) emission. 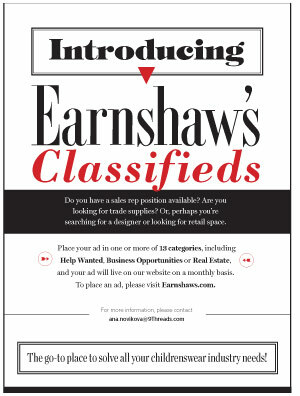 Inquire for pricing. Designed to mimic a womb-like enclosure, Pillowsheets feature pillow positioners embedded and securely stitched within the sheets to enwrap the baby in a secure embrace without the need for any loose objects in the crib. The product also includes extra lift by the head to help babies with reflux. “Babies go nine months in the snug security of their mother’s womb, and after birth, we’re told to lay them down in the flat, empty spaces of their crib,” says Founder Nadia Galloway. Pillowsheets are made with 100-percent natural cotton while the pillow filling is polyester and are available in various sizes to fit cribs, daycare mats and twin beds. Retail prices not yet available. For parents who want to peek to see how well the baby is sleeping, the Smart Luce Bassinet by Micuna has created a bassinet specifically designed for the first months. It allows a total view of the baby through its breathable mesh fabric, which at the same time provides fresh air flow. 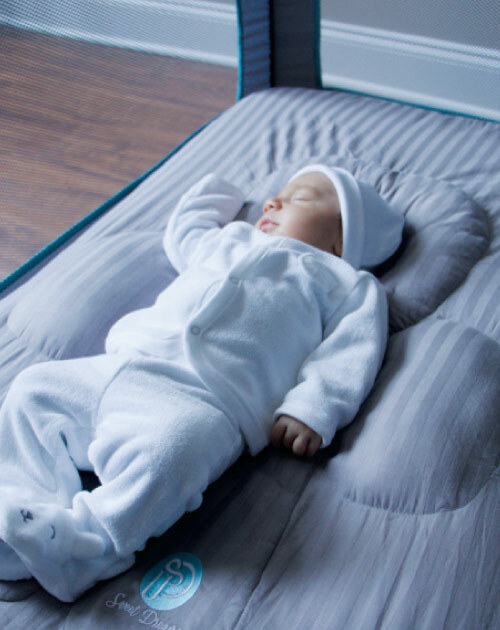 A warm light is incorporated into the cradle to enable parents to conveniently check on the baby throughout the night without having to approach the bassinet. Included is a suffocation proof mattress designed specifically to fit the oval shaped bassinet and a set of sheets. The Smart Luce Bassinet structure is available in metallic gray, white and natural beech wood. 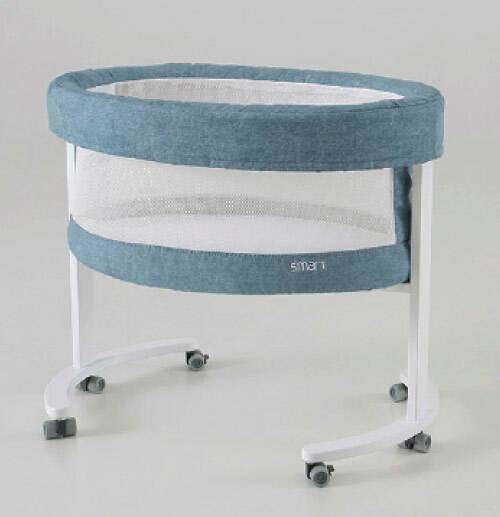 The fabric bassinet is available in white, gray, beige and denim blue. Suggested retail price ranges from $479.98 to $529.98. The Project Nursery Dream Weaver Smart Light and Sound Soother by Voxx Accessories Corp. (SRP $39.99) is for parents who love techie gadgets. Bluetooth enabled and controlled by the parent’s mobile phone or tablet, the sound soother plays lullabies and nature sounds while the accompanying night light offers four modes: sparkle, fade, dance and rhythm. For custom listening, parents can stream music and stories through the wireless speaker. A sleep timer allows the user to set the programmed sounds and accompanying lights to run constantly or for sessions of 15, 30, 45 or 60 minutes. Preloaded sounds include waves, white noise and a heartbeat while preloaded lullabies include Brahms’ Lullaby, Twinkle Twinkle Little Star and Mozart’s Eine Kleine Nachtmusik. 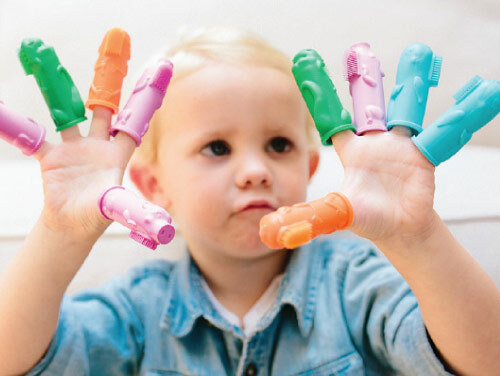 With parents demanding BPA-free products, manufacturers are transitioning to the “it” material of feeding gear: silicone. 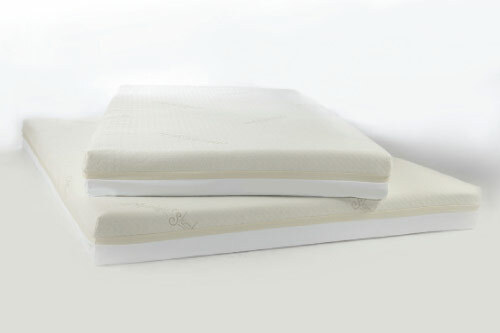 The material doesn’t react with food or liquids and is non-toxic, hypo-allergenic and stops bacteria or fungus growth. 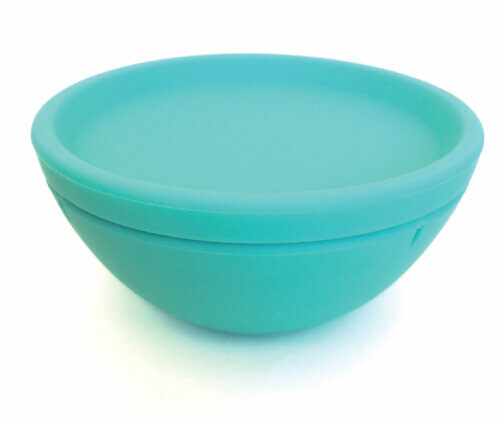 Enter Silikids’ feeding bowl, Silibowl (SRP $11.95). Ideal for first-time feeding and food storage, the lid of the bowl can be used as a plate and also inserts into the bowl creating an airtight seal for storage. The silicone bowl is 100-percent food grade silicone with an embedded stainless steel ring to hold its shape. It won’t collapse when gripped and is microwave- and dishwasher-safe. The hottest bottles trend is ones that mimic natural breastfeeding as more moms go back to work earlier and want to learn how to establish that connection with a bottle sooner. Bottles from Comotomo, Dr. Brown’s, Calma and Medela all offer such bottles, but Nanobébé’s bottle is the most talked about innovation of late. 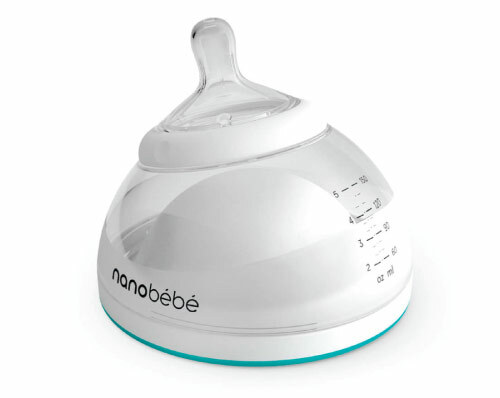 Released this year, the Nanobébé Breastmilk Bottle (SRP $10.99) is specifically designed to protect breastmilk nutrients essential to a baby’s health. It uses a patented geometric shape and increased surface area, so the bottle cools quickly and reduces bacterial growth. 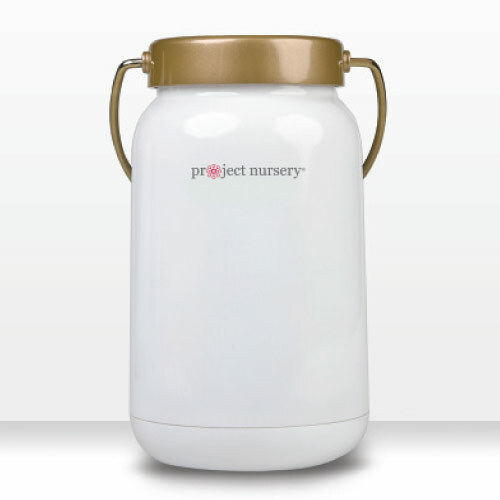 The bottle also warms evenly to prevent overheating and its unique shape lets babies self-feed at a much younger age. In addition, the bottle comes with a breast pump adaptor so mothers can pump directly into it and then immediately store it in the freezer or fridge. It also warms up two to three times faster than standard bottles. Anything that improves the diaper-changing experience is welcomed by parents. For instance, the new Skip Hop Light Up Diaper Caddy, with a touch of a button, projects a soft glow for parents to see what they need and allows baby to go right back to sleep. “When a baby wakes up at night, you want to quickly do the diaper change without startling them,” says Ellen Diamont, co-founder. 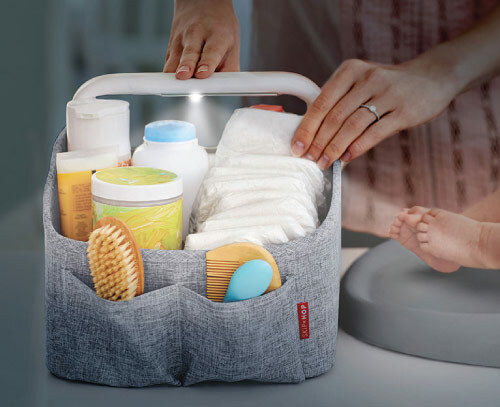 The Light Up Diaper Caddy keeps diapers and related accessories clean and organized and is made of sturdy heather gray fabric. 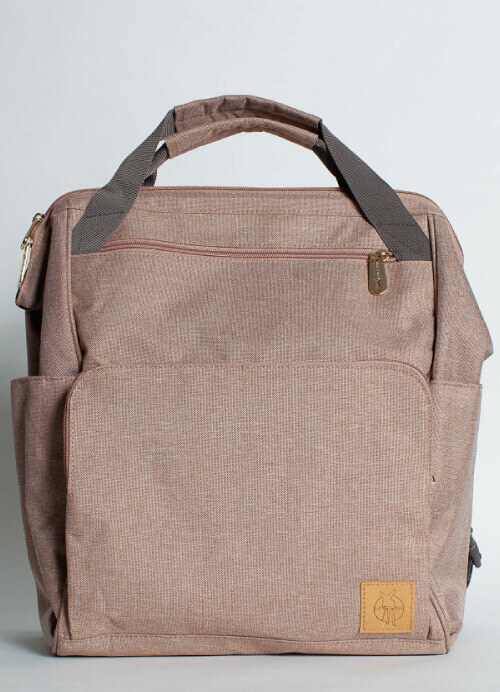 It has two exterior pockets and two spacious center compartments with two interior pockets. A modular center divider allows for customization of the interior space. The caddy retails for $40. The Angelcare Bath Support allows for a safer and cleaner infant bathing process. Designed for comfort as well as support, the tub is mildew-resistant and hygienic. The Angelcare Bath Support is recommended for babies up to 6 months of age, with a maximum recommended weight capacity of 30 lbs. Available in a new gray hue, the bath retails for $29.99. The Brushies are four silicone finger puppet characters that double as toothbrushes that can be sold separately or with a corresponding storybook in which The Brushies must get rid of the Sugar Bugs on kids’ teeth. Dr. Hilary Fritsch, a dentist and mother of two, says that by associating tooth-brushing within a narrative featuring fun Brushies characters, good dental hygiene habits can be initiated early. She created the concept after seeing so many young children with dental problems. “It’s so hard to see parents feel like a failure when, really, it’s the way we’ve all been taught to brush that sets them up to not succeed,” she says. Brushies characters Momo (orange monkey), Chomps (green dinosaur), Pinkey (pink pig) and Willa (blue whale) with the storybook retails for $16.95. Individual characters are $6.95 each.